How Do I Interpret My NCLEX® Results? The length of the NCLEX test ranges from 75 to 265 questions. The NCLEX-RN is a standardized test that nursing school graduates must take and pass in order to become licensed to practice nursing. Each NCLEX-RN test is a unique, individualized examination. The National Council Licensure Examinations — known as the NCLEX-PN® for practical nurses and the NCLEX-RN® for registered nurses — are the nursing examinations required to become a licensed nurse in the US. Known casually as the nursing boards these tests are administered by the National Council of State Boards of Nursing (NCSBN®) through a secondary company, Pearson VUE, which owns, updates and administers the special computerized tests. After a nurse sits for her nursing boards at a Pearson VUE testing site, she receives her NCLEX® results by mail from the NCSBN. An initial interpretation of the NCLEX® results is not difficult as the test-taker is informed in bold font in the first sentence of the two-page letter whether or not she has passed the examination. A more in-depth interpretation of the test-taker's NCLEX® results can be conducted with additional information included by the NCSBN provided that the student understands the special nature of the NCLEX® test. Initially, a student can interpret her NCLEX® results as either passing or failing, as indicated in the first sentence of the test result letter. The computerized NCLEX® examination is unique to every test-taker with different questions posed to different students. 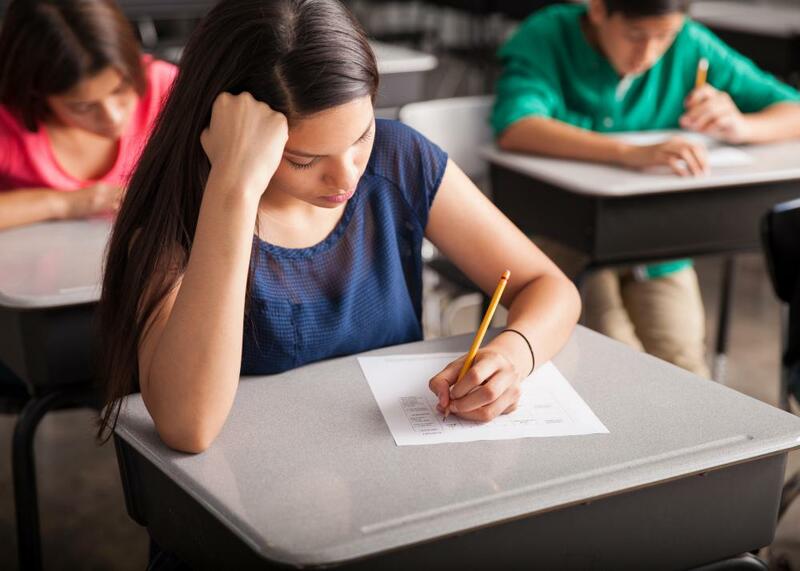 The length of the test — ranging from a minimum of 75 questions to a maximum of 265 — even varies according to individual students and their test answers. According to Pearson VUE, a student is asked a given question that she has a 50 percent chance of answering correctly. If she answers the question correctly, the computer responds with a more difficult question; if an incorrect answer is provided, the computer asks the student an easier question. After the examination's minimum 75 questions have been asked, the computer will terminate the test if the student has demonstrably passed or clearly failed the passing standard. If more questions are required to determine whether the student has passed the test, the computer will continue to ask questions up to a maximum of 265. The second paragraph of the NCLEX® results letter reports the exact number of questions that were asked of the student, again in a bold font. The lower the number of questions asked, the more clearly — and quickly — a student clearly demonstrated a score inferior or superior to the passing standard. The NCLEX® results letter also contains information on a student's success or failure in different areas of the test. Test categories are listed on the second page with student results reported as below, near or above the passing standard. If a student has failed her boards, this area can help identify specific subjects of study to address before the nursing boards are retaken. What Are the Different NCLEX® Scores?